Over one year ago, I posted my excitement for the soon to be released The Great Gatsby! I'm looking forward to the movie, the hair, the accessories and clothes. 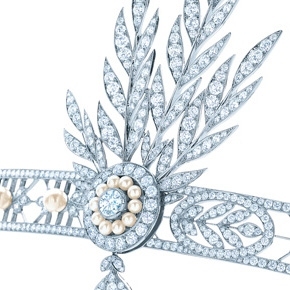 Tiffany & Co. jewelry and accessories were worn in the movie, and the collection is Jazz Age Glamour. This has to be the most extraordinary head piece I have ever seen!